Sturry Road Community Park lies on the outskirts of Canterbury. It has a range of visitor amenities and leisure facilities, and new habitats for wildlife. Nearby Old Park has protected acid grassland and other important habitats. Sturry Road Community Park – newly planted trees, shrubs and wild flower meadows. Old Park – acid grassland, scrub, ponds. Sturry Road Community Park is one of the largest community-led greenspace regeneration projects in the UK. It has been created by the community for the community and has a wide range of activities and leisure experiences. The park has been created from an 18 hectare site previously used as a landfill refuse tip behind the Park and Ride Car Park in Sturry Road. Restoration involved importing surplus soil from local development sites, levying a tipping charge, and using the funds to pay for the development of the park. The creation of the park has transformed a sterile wasteland into a new park for people and wildlife. 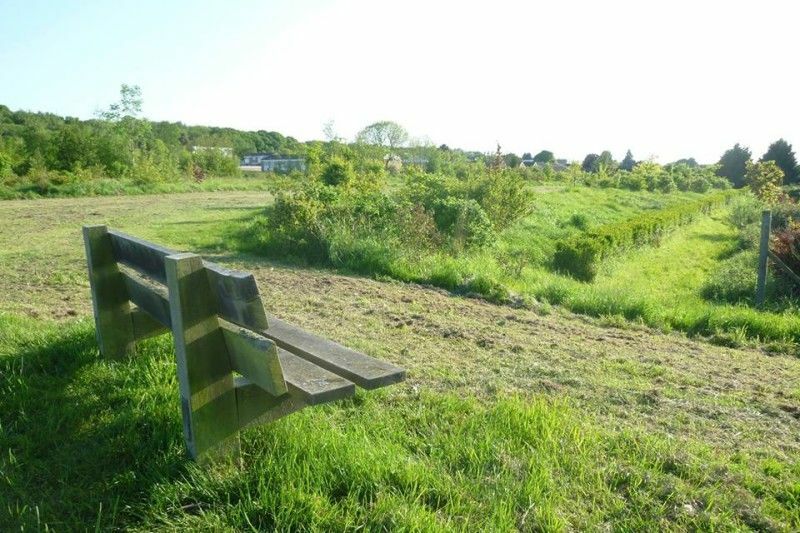 Over 10,000 native trees and shrubs have been planted to effectively create a green edge to the city and strengthen the green gap between Canterbury and Sturry. The whole park is available for everyone to use. There really is something for everyone – play facilities for all ages, ornamental garden, sports pitch, BMX track, multi-games court, skateboard park, event arena, a mile long circular walking route, jogging, cycling and exercise trails linked to the Canterbury to Fordwich cycle/walking route, newly planted amenity woodland, and an ecological park with wildflower meadow. Old Park is a large open area of grassland and scrub with access via public footpaths, including the Stour Valley Walk, and National Cycle Route 1. A large area of unimproved acid grassland is protected as a Site of Special Scientific Interest. Scrub provides nesting habitat for nightingales, linnets and turtle doves. Kingfishers have been seen at the pond. The views from the higher ground are excellent. CAUTION: Old Park is an MOD training area, please keep to marked paths at all times. From the A28 heading east out of Canterbury, turn onto Reed Avenue near Sturry Road post office. Take the second left onto Tennyson Avenue. Drive right to the end where you can park. Route numers 4 and 6 from Canterbury pass close to the site, along Sturry Road.